Lost all apps on your iPhone after iOS 12/11/10/9 update? This guide will lead you to easily fix this “lost apps on iPhone after update” issue and help you recover deleted apps on iPhone in minutes, even without any backup. 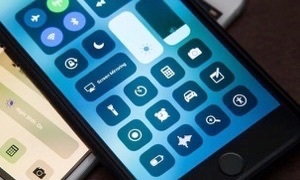 Like above user, you may have encountered the same iOS update problem that all your apps were being deleted on iPhone after updating to the latest iOS version (iOS 12) from older ones. Actually, lots of users were complaining the iPhone update delete apps issue but couldn’t find a reliable way to get the deleted or lost apps back for various reasons. When it comes to recover deleted data on iPhone, iTunes or iCloud backup restore way could be our first choice. But this must be on the promise of you have made a backup in advance. If you haven’t, don’t panic. Here in this guide, we will share you a 100% safe & efficient solution to fix the “iPhone lost apps after iOS 12/11/10/9 update” problem and help you restore lost app even without any backup. Just keep reading to learn the details. 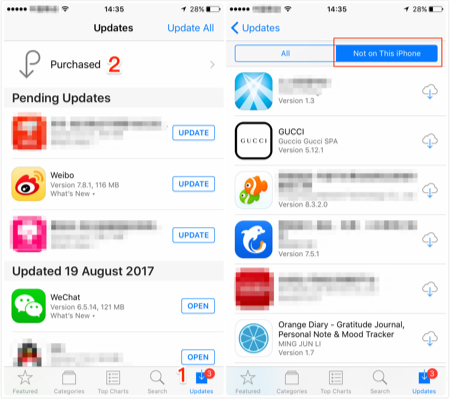 If your iPhone update deleted apps, then you can easily restore lost apps by re-downloading and reinstalling them from App Store. Now, let’s check the steps. Step 1 Go to App Store > Choose Updates on the bottom right corner > Tap on Purchased on the top of phone screen. Step 2 Tap on Not on This iPhone menu beside All > Preview the apps and choose the one(s) to reinstall it on your iPhone. If you are searching for the best solution to restore lost apps on iPhone/iPad/iPod after iOS 12/11/10 update, then this 100% safe iOS data recovery PhoneRescue – iOS Data Recovery should be the right one. Now, let’s check its highlights on recovering deleted apps. It supports retrieving app data from iDevices directly – even without backup. 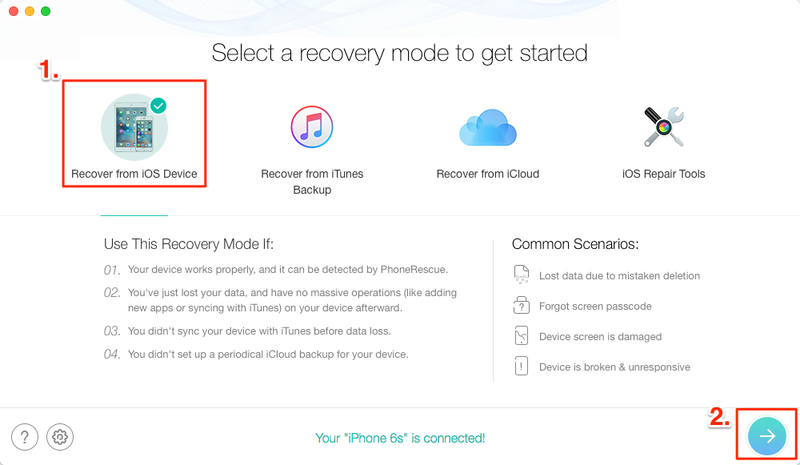 Also, if you have created backups on iTunes or iCloud before, it offers you another 2 recovery modes: “Recover from an iTunes Backup” and “Recover from the iCloud“. With its highest success rate in the industry, it has successfully helped millions of iOS users recover deleted files including apps after iOS update. Unlike recovering from iTunes, no need to erase any data before recovering. 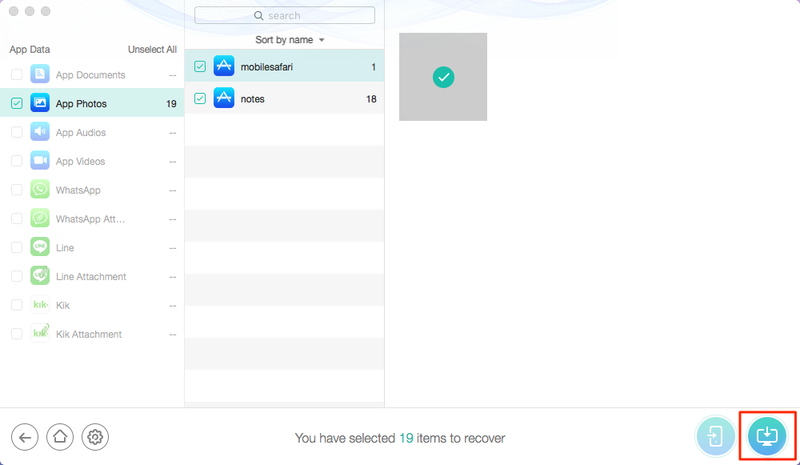 PhoneRescue for iOS will keep all your original app data safe on your device. It allows you to preview and selectively recover the app data you want, instead of a blind full restore, which greatly saves your time and iPhone storage. Besides app data, it supports recovering up to 31 types of iOS contents, including photos, messages and attachments, notes, contacts, photos, call history, reminders, calendars, Safari bookmarks, Safari history, app documents, etc. Step 1 Free Download PhoneRescue – iOS Data Recovery (or directly click the Download button below) on your Mac/PC computer. Step 2 Connect your device to the computer > Choose Recover from iOS Device mode to scan your device. Step 3 Choose App Data > Click OK button to scan your deleted apps. Step 4 Preview and select the one(s) you would like to recover from iPhone > Click the To Computer button to start the recovery process. Beside recover deleted or lost files from your iDevices, PhoneRescue – iOS Data Recovery can also help you fix your iPhone/iPad/iPod touch from any type of breakdown, like stuck on white Apple logo, continuous reboot loop, or black screen. So, get PhoneRescue to be your good helper now. 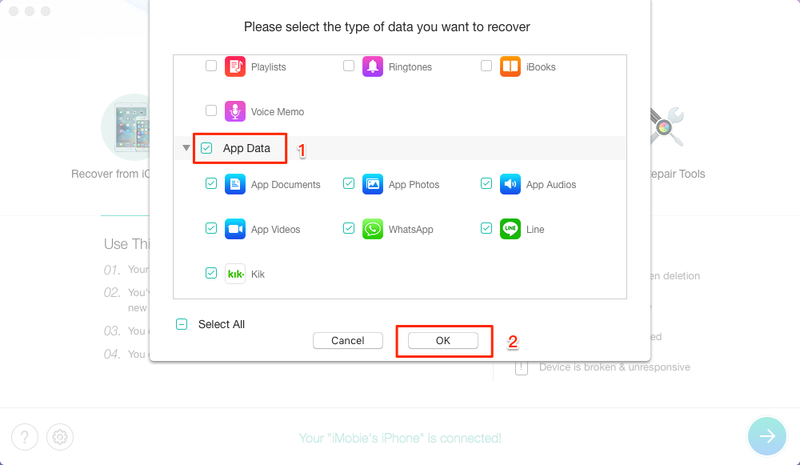 As you can see, PhoneRescue – iOS Data Recovery can easily fix the “iPhone update deleted apps” issue and help you recover deleted apps on iPhone in just 2 steps. Give it a try by yourself right away, the sooner you turn to PhoneRescue – iOS Data Recovery for help, the bigger choice you will get your deleted apps back. Actually, besides losing apps after iOS 12/11/10 update, there are many other iOS update problems, such as iPhone keeps restarting, iTunes errors, Touch ID not working, etc. And here we have collected the most common iOS update problems and also solutions to help you fix various issues with ease.